Panasonic is quite active on the 3D front lately, after the 3D lens camcorder adapter, the company also announced it is working on a digital interchangeable twin-lens, making it possible to shoot 3D with a normal 2D interchangeable lens system camera (micro four-thirds). Designed to be used with Panasonic’s LUMIX G Micro System the new 3D Lens adapter is expected to be available on the market, although nobody is yet talking about pricing or compatible camera models… even the specifications of the lens such as interaxial distance are still kept secret. Now, you should know that an Asian Company called Loreo has been working on such 3D lens adapters for quite a long time now, they’ve had working solutions even for SLR cameras and now offer versions for Digital SLRs and even micro four-thirds. So Panasonic is actually not the first to offer such type product, but maybe their solution will be better although we’ll have to wait a bit more for additional details to surface, but it might turn out to be a good product and maybe even quite affordable. And just one important clarification. Having this special 3D lens adapter attached on a normal digital camera means that the normal frame is cut into two halves and each half is used to store the left and the right eye image respectively. 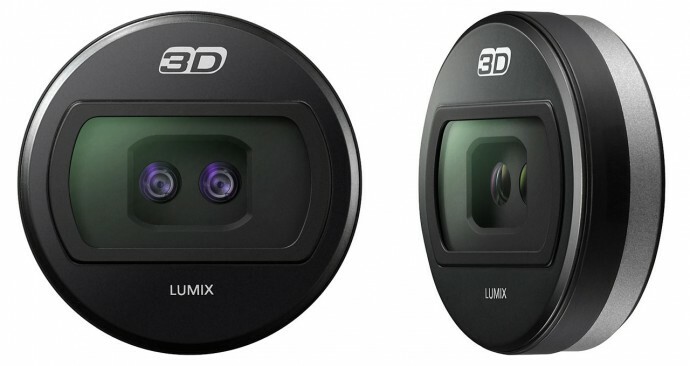 So lets say you are using a Panasonic DMC-G1 camera with this 3D lens adapter, since the camera has a resolution of 4000×3000 pixels (4:3 aspect) then if you take 3D picture you’ll have a single image where 2000×3000 pixels are used for the left eye and the other 2000×3000 pixels are used for the right eye visual information. If the images are not being squashed (and they probably won’t be) no stretching will be made and the 3D photo you’ll be getting will be with more height than width and that means black bars on the sides when viewing the image on a 3D monitor or 3D TV with 16:9 aspect ratio. The interaxial distance with this adapter is also quite small judging from the photos, so it will be more suitable for closer photography in 3D than actually taking photos of more distant objects.